Thanks geclub1 and AtomicLush. I can't believe I didn't think of the MPM as being the problem. Its annoying because KUL-LAX has a much higher MPM that allowed me to do LAX-JFK-HKG-KUL on the inbound and I just figured since REP is pretty close to KUL that they would have a similar MPM but I should have checked it out. You won't be able to use that routing on one award ticket. 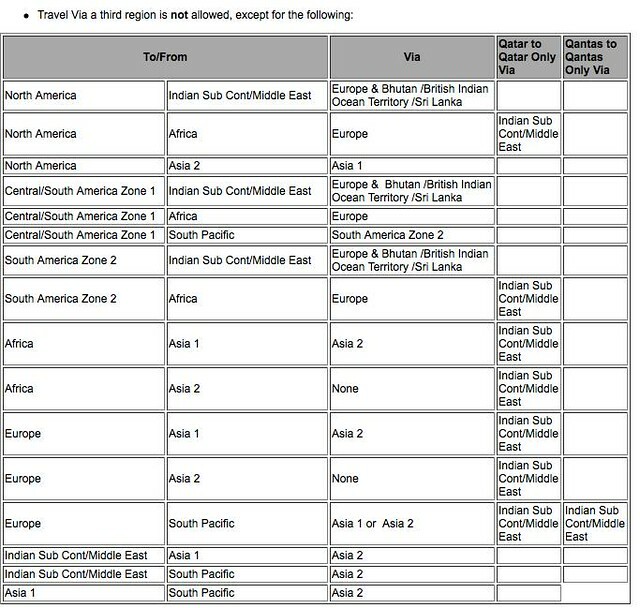 AA does not allow you to transit Europe on an award to Asia. So basically, flights to KUL are just like those to BKK. Must route through HKG/Japan for a single award? What about the domestic leg I inquired about with the 12.5k vs 20k award? If SAAver seats are not available to get you to the international gateway, you must either pay cash or obtain an AAnytime award for that domestic segment, in addition to spending the necessary miles for the SAAver award. I'll chime in on this part... The obvious option for one-stop and one award would be YYZ-DFW-ICN all on AA. You could also do YYZ-HKG-ICN on CX, but that would price as two awards (and so cost a few more miles) as you cannot transit Asia 2 on a North America-Asia 1 award. I certainly stand to be corrected, but I think those are your only options to keep it down to 1 stop. With 2 stops you've got access to NRT via LAX, JFK, ORD and DFW since AA fly to all four cities from YYZ, and as you note JL do serve ICN from NRT. Hawaiian Airlines also serve ICN from HNL, but I'm not sure how frequently or whether it's even feasible to find award space on that flight–I'd stick to the other options, but did want to throw this out in case you want to try and work in a 23 hour stop in the sun. I'm trying to build this as a single ticket (so connecting in HKG can't be done), and also as a business class award trip, so I'm leaning towards JL over AA for crossing the ocean, as AA's DFW-ICN route doesn't have lie-flat beds afaik. Enjoying the sun in Hawaii while connecting would be a great experience, but this time I'm trying to avoid an overnight connection. I guess I'll have to go with 2 connections in order to get on JL. (Sadly JL doesn't seem to fly to YYZ.). PS: I'd be double sure that JL are running flat business on your flight before booking it, I know they still have their own share of angle flat business floating around so just be vigilant on that front. Thanks again for the tip Microwave. I'll definitely keep an eye on the equipment for the DFW-ICN route, as well as the JL flights' seats. This is for a trip in fall, so I still have a few months left, and it would be really great if DFW-ICN gets the new 772 or 77W (probably 772 if any...I don't think ICN has enough premium cabin traffic for the 77W). If it is for a trip for this Fall, it may already be too late for awards; if it is for Fall next year, then you should be OK. It is indeed for a trip this fall. It seems the available seats are very limited at this point as you said, but there are still some available, so I'll have to book something quick. In the meanwhile, I have another question I hope someone could help me with. Does anyone know if AB tends to open up seats as the departure date approaches? Beside my trip to ICN, I also need to make a TATL trip to Berlin, for which I'd like to use my AA miles as well. AB's ORD/JFK-TXL route fits my need perfectly, but right now there are no U class seats open on the dates I'm interested in. I was wondering if AB tends to open up more U class seats on top of the initial ones they release. Have you checked IB ORD-MAD-TXL (on BA.com)? yeah, and sadly nothing was available. Oh well, I'll just keep checking regularly and hope something opens up. In the meanwhile, I was playing around with AA's award booking engine, and I ran into something I don't quite understand. 1) When I search for MXP-LHR-JFK, where MXP-LHR is on BA and LHR-JFK is on AA, there's a "carrier surcharge" of $40. 2) However, when I search just for the MXP-LHR segment on BA, there is no carrier surcharge. 3) Similarly, when I search just for the LHR-JFK segment on AA, there is no carrier surcharge. Can someone help me understand how this carrier surcharge gets added when I combine the two flights (MXP-LHR, LHR-JFK) as a single journey with a connection when the individual flights have no carrier surcharge? Ah, thanks a lot, I get it now. Which phone number to use to book partner award tickets? This is my first time trying to book an award flight (CX/MH) with AA, and I don't know if this is the norm, but upon calling 800-433-7300, I keep getting the same "all agents are currently busy, please call again later" message without even trying to put me in the queue. Is there a different number I can try? I've been trying to talk to someone for the past hour with no success. Otherwise, call very late at night, or in the very early morning hours. I wonder how could you get only $5 tax for one way?